I have used Instagram since time began, okay that is a slight exaggeration. Either way I am glued to flicking through my feed for inspiration, motivation or just because I'm nosey and if you've read this post you'll be aware that it's my favourite application and in relation to my favourite five series I thought 'Instagram accounts' would be the perfect addition. I follow close to 400 accounts with a good 80% of them bloggers, the rest friends, celebrities, photography accounts and the odd random. My feed is filled with many slick photos that often fill me with envy as my Instagram photos lack amazement, though I know who my favourites are which made this post very easy. 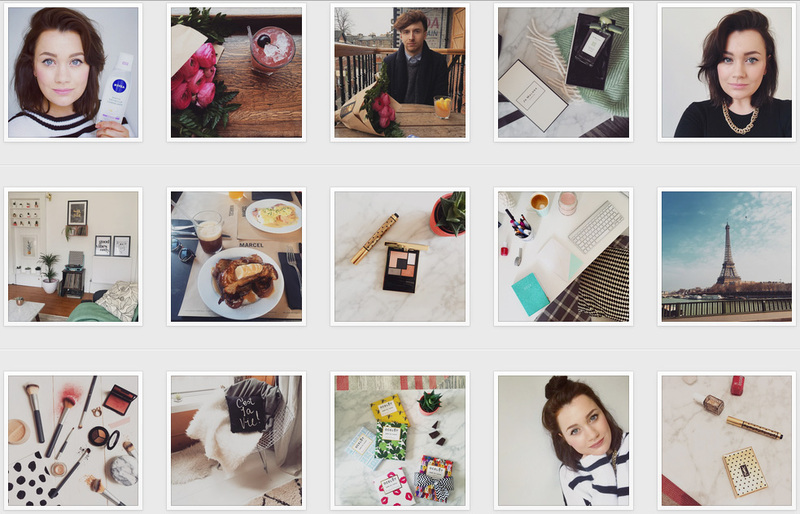 Kate is possibly one of my favourite bloggers ever and I envy her life, not just her Instagram. Her photos are on spot, with a fresh theme running through her profile. Her pictures often include the Eiffel tower whether it's the real thing or an ornament as well as cacti and pineapples. Like Kate, Helen from The Lovecats Inc is one of my favourite bloggers. Her blog photos are perfectly crisp and when I found her Instagram link I knew it'd be worth while. There is a very clean white theme that follows through her photos and a complete mixture of beauty products, quotes, fashion pictures and of nail of the days. Instagram has become the place to be for make up artists all over the world and I'm pretty sure Samantha is amongst the largest. I've fell in love with her skills but since watching her YouTube channel I've fell in love with her personality too. She's also pretty hot. 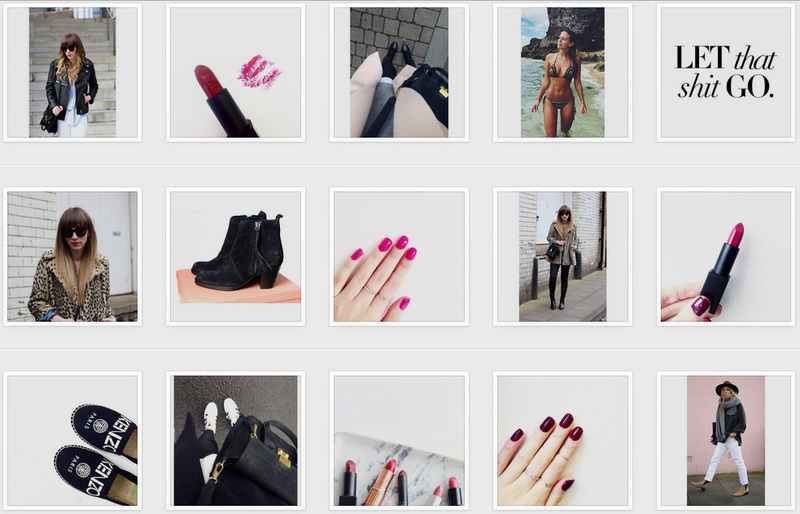 Her feed focuses on beauty and she's not shy of selfies. Yes, there's a non beauty related account on here! This is a rather recently followed account that I found when it was mentioned on PicLab's profile. 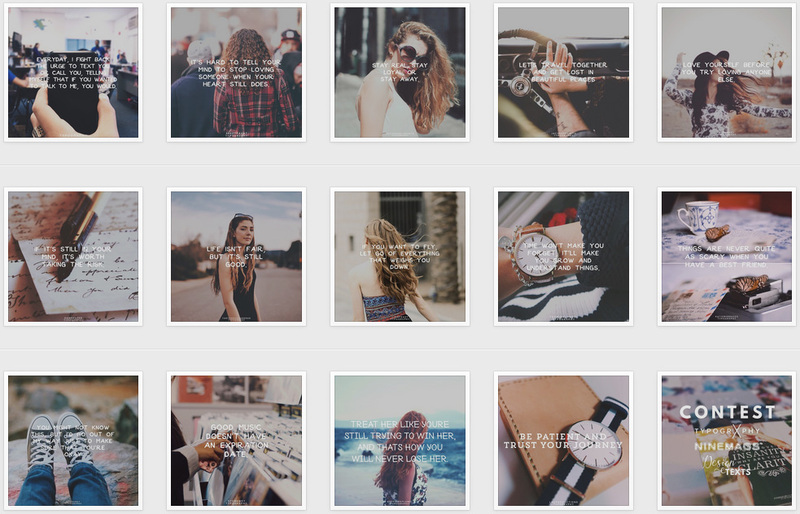 It's quite simply an Instagram account that posts typography, tons of nice photos with text overlay. I just love the simplicity of this account and is my favourite for inspiration. I'm pretty sure I followed Essie on Instagram for a competition, but if I hadn't I'd be missing out. 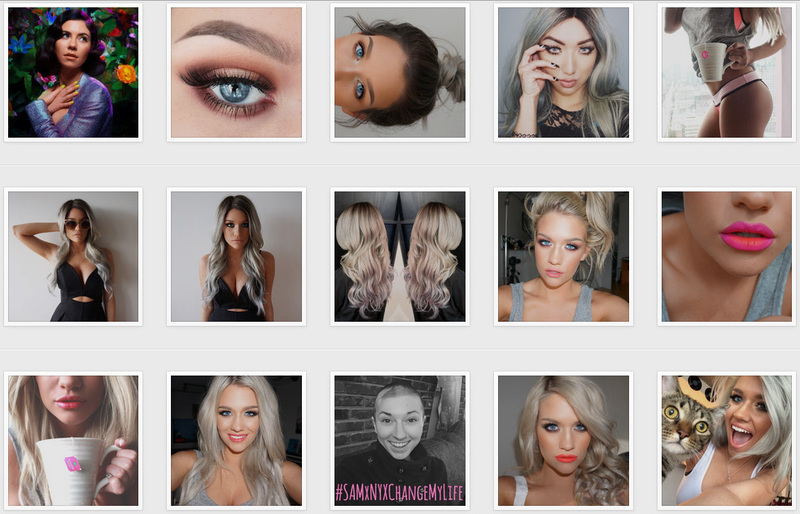 I don't tend to watch her videos and I'm not fussed about her blog, but her Instagram feed is gorgeous! It's what I'd call quite natural and I want to say earthy? Darker filters are added to her photos rather than them being bright white and fresh. I'm not sure what it is but I just love her account. Don't forget you can follow my Instagram @UploadJess if you'd like.